No, no, no – you don’t need to “purchase a rink” to get started. That would be a horrible risk with a brand new business. Get an agreement with a school to use their parking lot on a Saturday. You’ll have instant credibility and an audience because of being at the school and you can test your idea. My oldest son was a bicycle racer for many years. We organized and attended races all over the country that were set up in downtown business sections, in business office parking lots and rural roads. The most popular “criterion” races took place on city streets, often right in the middle of a university. No one would have dreamed of purchasing land for that kind of race. Auto Appeal – pinstripping. I ordered the supplies where I had 60 days to pay for them – I ordered about $300 worth of supplies for this business targeted at new car dealers. I knew the supplies should not be more than 10% of any job. So that $300 in supplies turned into $3000 in revenue with a $2700 net profit in the first month and I grew the business rapidly with the business profits funding the growth. Telephone Address Book. I purchased a telephone/address book at a bookstore for $12.96 – still have that receipt. Then I went to a church and offered to give them 1000 personalize copies of that telephone/address book with their church logo on the front cover. In exchange, I asked them to give me the names of people they did business with – hotels, restaurants, insurance, etc. I then gave those businesses the opportunity to highlight their business on the inside front and back covers. That first project took me four days to complete and netted me $4600 after paying for the 1000 free personalized copies that I gave to the church. Self-publishing 48 Days to the Work You Love. I did not have a fancy publishing deal when I first started. Instead, I bought a few three-ring binders at Office Depot, had the inside text copied, recorded a little cassette to stick in the pocket and then sold over 50,000 at $39 each. (total cost $7.50 each) That’s over $2 million – with start up costs of less than $100. down payment. Several years ago I bought a house on a Saturday morning, gave the owner $3,000, took over the loan, did some cosmetic improvements, put it back on the market, and sold it for a $21,000 profit. Many of the best ideas today are not capital intensive. They don’t require buildings, employees, and inventory. Fear of failure is a much larger obstacle than the lack of money. You can go ahead with your outdoor roller hockey business. Just don’t try to convince yourself that your calling requires you to violate your personal principles. That’s a compromise you never want to make. Drive into any national park and you’ll see the signs – “Don’t feed the bears.” Scientists tell us that bears will quickly become dependent on human food, and while they are not particularly fond of humans they like the arrangement of free food. And once dependent on that food they will attack the same providers if the supply disappears. Congress is now considering extending unemployment benefits for the fifth time since this recession began. In normal economic times workers could receive up to 26 weeks of benefits with the possibility of a 13-week extension. With the added benefits added by President George W. Bush and now Barack Obama, jobless benefits can run as long as 99 weeks – nearly two years. And here’s the challenging news – studies by University of Chicago economist Bruce Meyer and Harvard’s Lawrence Katz show that people are most likely to find a job just as their unemployment runs out – whether that’s 2 weeks, 26 weeks or 99 weeks. The benefits – even if meager, appear to fuel the belief that this is a poor labor market, the economy is in the tank and no one is hiring. And yet when the benefits are exhausted, a job magically appears. Not having a job is not just a lack of money. Not having a job very quickly becomes a psychological issue, unleashing humiliation, shame, vulnerability, hopelessness and entrapment. Money that is not “earned” may exacerbate rather than alleviate these emotions. The resulting low self-esteem cripples the boldness, confidence and enthusiasm required to come across as a desirable job candidate. We’ve seen the crippling effects of welfare – becoming not a crisis relief but a way of life from one generation to the next. We now have healthy, intelligent and capable young people who no longer anticipate hard work, struggle and the ultimate rewards of personal achievement but simply capitulate to the handouts of the government for housing and food. And thus they drift into the ravages of perpetual low self-esteem, shame and the violence that accompany relationships unaccompanied by mutual respect. Here’s another observation: Yes, we are seeing people thrust into the ranks of the unemployed through no fault of their own. People who are competent, reliable, faithful and talented are losing their jobs. Yet for many of those, becoming “unemployed” simply served as a wake-up call for dormant dreams. Check out 48Days.net and you’ll read the stories of hundreds of “accidental entrepreneurs.” Others report they have found jobs that, for the first time, are allowing them to experience meaningful, purposeful and profitable work. No parent, boss, pastor, missionary or politician wants to appear heartless. But we must recognize that bears hunt effectively when they are not “given” food, teenagers get creative when the allowance stops, people move out of the destructive cycle of poverty when the handouts cease, and our best and most creative talents are often released under the gentle pressure of necessity. Sigmund Freud once stated, “A man with a toothache cannot be in love,” meaning simply that the attention demanded by the toothache doesn’t allow that person to notice anything other than his pain. In working with people going through job change, I often find Freud’s principle to be confirmed. I see grown men who have lost their jobs ignoring their wives, hiding out to avoid seeing their friends, watching too much TV and eating foods that blunt their minds. I see women embarrassed about yet another layoff who then stop going to church, spend money they do not have, read romance novels rather than inspirational material, and snap at their kids when asked an innocent question. The “pain” of the job loss seems to mask the health, vitality and success they have in other life areas. Yes, a crisis will scream for our undivided attention. However, diverting your focus may in fact be part of the solution. A couple of years ago I worked with a young man who had just lost $3.2 million in a business deal. He was totally in the tank financially and in his career. But rather than focusing on his career crisis I first suggested that he go to the YMCA each morning for 2 hours. His intense focus there initiated the vitality, clarity and inspired thinking that allowed him to quickly spring back to success financially as well. Going through an unexpected or unwelcome change in your life provides a great opportunity to take a fresh look at your success in other areas. Don’t let other critical components of your life deteriorate as well. Make additional deposits of success in your physical well-being. The energy and creativity that can come from a sharp mind and body can generate the very ideas you need at this time. Organize a pot-luck with a group of your friends – you’ll be surprised how many of them are going through a similar experience and providing one dish will cost you no more than eating your own meal. Pick up a great book to read. If you read only 10 minutes a day you can read a new book a month – and that can transform your insight and preparation for new options. Stay connected spiritually. You’ll realize that in the scope of eternity, this event is probably a tiny spot on the timeline. What is the toothache in your life that is demanding your undivided attention? How can you continue being “successful” in other areas of your life anyway? Unemployment inched down nationally in December, from 10.2% to 10%. But rose for 55 and older workers from 7% to 7.1%. Unemployed for an average of 36 weeks. Number of “discouraged” unemployed older workers rose from 130,000 to 199,000 in December. Unemployed 55-64 yr-old workers more vulnerable because of falling investment return and collapsing retirement programs. Technology, health care and education will continue to be hot job sectors, according to the Bureau of Labor Statistics’ outlook for job growth between 2008 and 2018. More than two million new technology-related jobs are expected to be created by 2018, according to the BLS. Tech skills alone are not enough. Those who have people and relationship skills as well will thrive. A subtle sense of “entitlement.” No one owes you a job, no one will feel sorry for you. If you fall into these traps you’ll be convinced that the economy is bad and no one is hiring. Make yourself stand out as the best candidate and you’ll be amazed at the opportunities that appear. According to SUCCESS magazine – the average American worker spends 46 minutes a day commuting to and from work. That’s 199 hours – 25 eight-hour days, each year. Find a way to work from home and you just found 1 full extra month a year. What could you do with a full uninterrupted month? Write that book, fish, travel, take a course, build your back-yard deck or immerse in reflection at a monastery. In the new Thomas Nelson book, Obstacles Welcome, author and CEO of AT&T Mobility Ralph de la Vega tells of his rise from a Cuban orphan to his position of business success. The business principles of have clear goals, work hard, and treat your people well are valid but not new. The potential uniqueness of the book would have been in telling how that transition from leaving his family in Cuba at 10 years old to become a business leader occurred. Unfortunately, for whatever reason, those details of his personal story are missing. I’ve always been drawn to the Horatio Alger kinds of stories that reveal how a person rejected desperate circumstances to rise to greatness anyway. Like the butterfly leaving the cocoon, challenging struggles often seem to release greatness in a way that a life of privilege never can. At this point in my life I am truly grateful for the times of having to rise at 5:30 AM to milk cows as a 5-yr-old boy. Hey, I’m not asking for sympathy – rather, I suspect that environment increased my motivation to find work that was fulfilling, meaningful and profitable. Be careful of always looking for the easy path — you may never push life into your butterfly wings. This addresses the most pervasive and recurring question I receive daily – How can I trust my dreams and passions? Tom, a sharp 27-yr-old presented himself in my office, wanting confirmation that he was on the right track. He had recently graduated from college (having taken the 7-year plan) and had taken a position with a company selling office equipment. Each morning he put on his suit and began making his calls. The company loved him, however, he was bored beyond belief. I asked him why he had taken this route and his reply relayed a common perception. Tom said that he had a great time in college; he traveled, went snowboarding, attended ball games, and spent time with his friends. Now that he had graduated he felt it was time to “grow up” and become part of the “real world.” He assumed that meant getting a job that he hated but that would prove his responsibility. I laughed and asked who had sold him that bill of goods. We looked carefully at his skills, personality traits, values, dreams and passions. 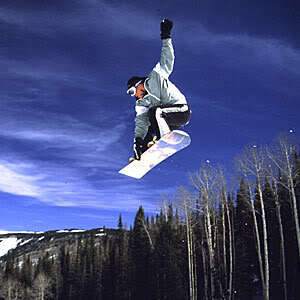 Today, Tom is co-owner of a snowboard shop in Breckenridge, Colorado. On a moonlight night you might catch him coming down a hill at 3:00 AM, testing one of his new designs. What is it that you find naturally enjoyable? If money were not important, what would you spend your time doing? When do you find the time just flying by? What are those recurring themes that keep coming up in your thinking? What did you enjoy as a child but perhaps have been told was unrealistic or impractical to focus on as a career? This is a tough area for most people. There is a subtle spiritual myth that following our dreams is likely to be selfish, egotistical, and something God would frown on. That kind of thinking implies that God is totally outside of ourselves; we are simply physical robots separated from His mind and heart. However, we are created in God’s image and as such are co-creators with Him. Why would God have created us to think imaginatively and to have vivid dreams only to then squelch those dreams for practicality? Consider the possibility that your dreams and desires are the voice of your soul, God’s voice within you, longing for expression through your faith and action. And as you move toward your values, dreams, and passions, you will move toward being more spiritual and more fully what God created you to be. Ever wonder why some people get the cool jobs – even if you have better experience and credentials? Here’s an example of a guy using creativity to snag a great opportunities. HeadBlade President Todd Greene was looking for someone that could handle social media for the company. He said he was looking for someone like himself, someone who was passionate about the product. He posted the job on Craigslist and got tons of resumes. But one stood out above them all, by far. 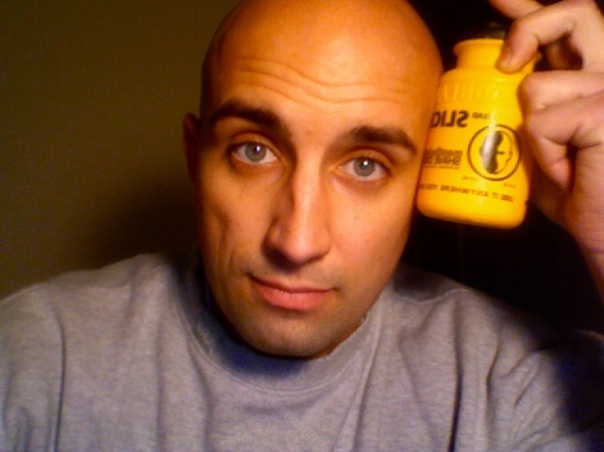 Eric Romer was himself a “headblader,” and had been using the product and even blogging about it on his own. Within a day of the Craigslist entry going public, Eric put up the following web page: HireMeHeadBlade. Now that’s a creative way to get the attention of an employer! Want to guess who, out of the hundreds of correctly submitted resumes got the job? Yeah – it worked. Eric now has a new site up: HeadBladeHiredMe where he’s continuing to tell the story. So what are you doing to stand out from the crowd? I’m hearing of people sending resumes wrapped around an ear of corn, on a business card DVD, delivered with a dozen roses, or by standing in the boss’ parking spot at 6:40 AM. Now is the time to be creative – pull out all the stops and let potential employers know why you are someone they won’t want to miss. Thanks to 48Days.net member Brian O’Keefe for alerting me to this story.